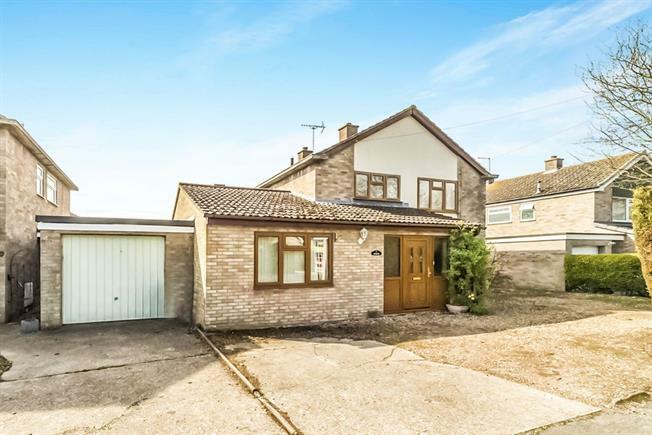 3 Bedroom Detached House For Sale in Bedford for Offers in excess of £375,000. This property's price has dropped from £395,000 to Offers in excess of £375,000. A very well presented three/four bedroom extended detached home located in a cul de sac position within the popular north Bedfordshire village of Riseley. The property benefits from double glazing, gas to radiator heating and separate reception rooms. There is a downstairs cloakroom, fitted kitchen and a separate study. There is also a separate family room/Bedroom four downstairs. Upstairs there are three double bedrooms and a fitted family bathroom suite. Outside there is an attractive rear garden and front garden which offers off road parking for several cars. Radiator. Low level WC, wash hand basin. UPVC French double glazed door, opening onto the garden. Double glazed uPVC window facing the front. Radiator. UPVC double glazed door, opening onto the garden. Radiator. Roll edge work surface, built-in units, one and a half bowl sink, integrated oven, electric hob. Double glazed uPVC window with obscure glass facing the side. Radiator. Low level WC, panelled bath, wash hand basin. Gravelled front garden which offers off road parking for numerous vehicles.